Mazda Motor Corporation is Japan's fourth-largest manufacturer of cars, minivans, SUVs, pickup trucks, and commercial vehicles. Mazda has come a long way from its first three-wheeled light trucks and today its thoroughly modern model range brings more and more fans to the brand. Best known for its sporty coupes and sports-inspired designs, the company also produces a broad range of other models, offering style, pace, versatility, superb driving performance and excitement. 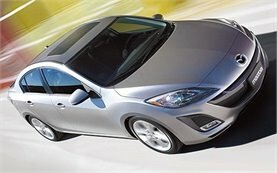 The Mazda brand has an enviable reputation for strong build quality and reliability. Mazda’s focus on small innovations that make car hire customers’ lives easier has been praised worldwide. 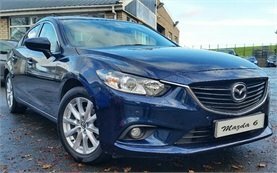 The marque ranks highly today which is no surprise as Mazda produces a range of stylish vehicles that are not only superb to drive but built to the highest possible quality standards. If you expect performance, comfort and safety from your car hire in Bulgaria, Mazda is a brand you can count on. Mazda's exciting new launches have definitely impressed and have become firm favourites with car hire motorists in Bulgaria like the all-new Mazda 2 supermini and the Mazda 5, a real minivan in its class. Getting a good deal for your car hire experience in Bulgaria, is definitely what Mazda delivers - a blend of excellent value for money, innovation and reliability.